Founded in 1980, Mail Boxes Etc. 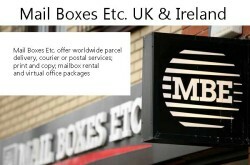 (UK) Ltd. / MBE, nationwide provider of worldwide express package delivery, mailbox rental, full lithographic printing and digital copy services having over 150 stores currently open across the UK and Ireland. 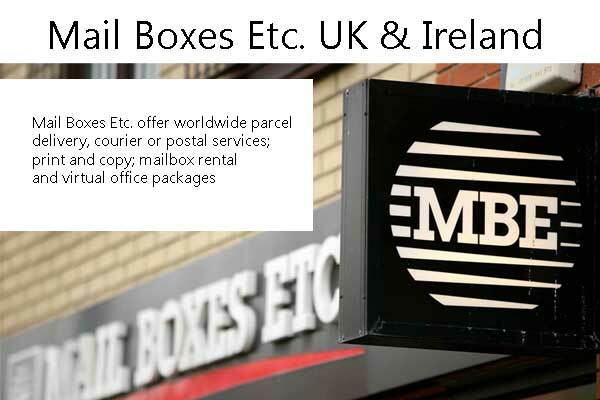 Pack & Ship, Design, Print & Copy, Mailbox Rental, Franchise Opportunity, OneDrop ‘click & collect’​, Postal Services & Direct Mail, Virtual Office Addresses, Stationery & Office Supplies.